Microblogging is hot. An increasing number of users and vendors are using it. 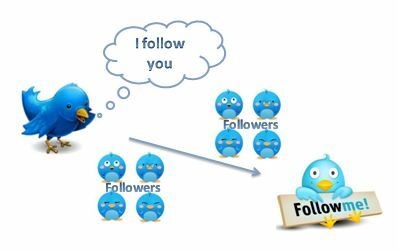 Twitter blog (March 2011) posted that The average number of Tweets people sent per day, in the last month – 140 million. Well, I guess with my 101 tweets so far I am not even the drop in the bucket 😦 , but I am working on it. Opening an account on Twitter was on task during my MAODE (Master of Online and Distance Education) study and I still recall the advise from one of my fellow students that you should create lists and make sure that you avoid using Twitter for chit-chat, but to exchange information. And I have to admit that this was a good advice and then Twitter becomes really valuable to receive the hottest up-to-date news. However, after finishing my MA I run out of news and information, seen also in my blog here, but if you don’t keep informed in this fast changing elearning subject, then you are quickly sidelined. Thus, I invest more time now to look up what interesting tweets others post. I was amazed how much followers a Marie, a friend of mine, also a further MAODE student, had and she told me you have to tweet more. So does the rule of the thumb really applies? As more you tweet as more followers you get? Sure if you just tweet once a month, then your number of followers might be not really huge, except you post an innovative winner. However I believe, quantity does not necessarily succeed over quality. If your tweets don’t have any substance, then you don’t really attract followers.